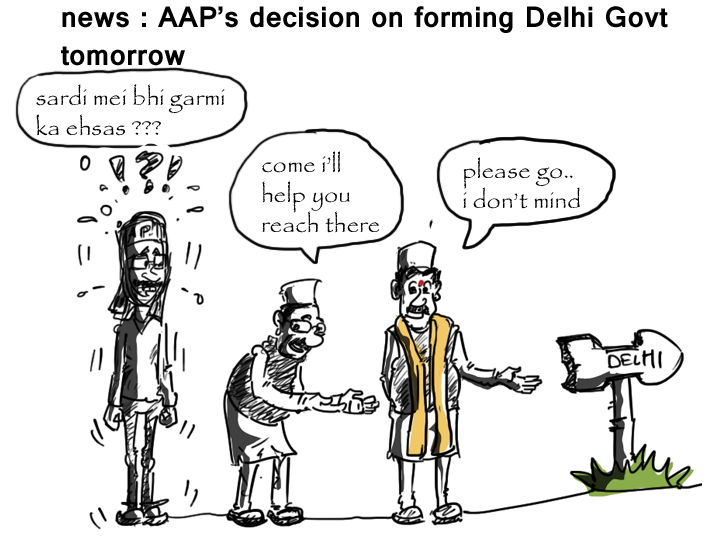 AAP will come up with its final decision on whether or not they will make Govt in Delhi with Congress. While many believe AAP should come to power with the help of eight seats of Congress and prove their point, few believe, they should stay out of power. It is truly a testing time for AAP supremo – Arvind Kejriwal who might be feeling the heat of politics with the temperature dipping down slowly in the national capital. Good one. Great to read you after so long. 🙂 thanks Saru !! keeping too busy at work. Where have you been friend…long time!! Glad you’re back in action! indeed .. the d day is today .